We play together so well as a team. There's no drama. All the girls get along. 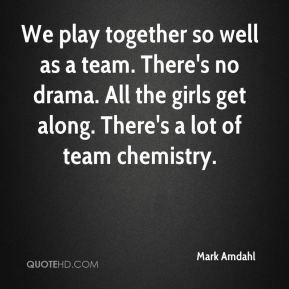 There's a lot of team chemistry. That three-point play, you could tell the excitement in the girls. That was definitely the turning point in the game. Avon is a very poised team, our press didn't bother them today. We didn't get the turnovers we usually do. The girls are ready to start open gym already.